For the first time in its 17-year history, an entire movement has made it onto Art Review’s Power 100 list, which was released today, 9 November. #MeToo, which is often considered a new phenomenon, but was in fact coined as a term to express sympathy with sexual assault survivors back in 2006, makes its debut at number three. The ranking is a reflection of the headlines that have dominated the media over the past 12 months. Whether it’s the number of people who have resigned over allegations of sexual harassment, or those who have been put in the spotlight for their actions, #MeToo “has had a distinct effect on how the art world thinks about and conducts itself”, says Art Review’s senior editor, JJ Charlesworth. The movement has also sparked a rush of exhibitions in galleries and museums, many focusing solely on female artists in the past year. 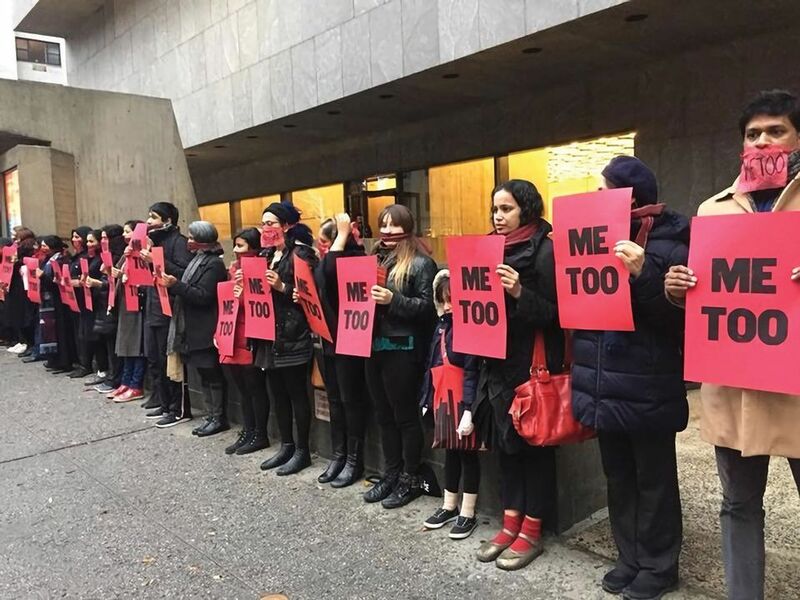 “It’s very much about capturing the effect that the #MeToo movement or phenomenon has had, and how institutions have responded to these criticisms and perspectives,” Charlesworth says. Meanwhile, the American painter Kerry James Marshall has been named the most influential contemporary artist, claiming the number two spot. Marshall climbed the list from 68 last year, largely thanks to the record-breaking sale of his 1997 painting, Past Times, which sold to the rapper Sean Combs for $21.1m, the highest price paid for a work by a living black artist. Zwirner’s ranking is a result of his financial turnover, his global growth in terms of gallery spaces and the artists he represents–including Marshall–who are among the best in the world. “It’s also a reflection of his approach, which is very much about paying attention to historical legacy and enduring representation,” Charlesworth explains, noting that aspects of his business such as Zwirner books show a “critical self-awareness”. Zwirner’s suggestion at a conference in Berlin in May that larger galleries should subsidise smaller ones at fairs has worked in his favour. “Zwirner has been publicly responsive to the problems of commercial power in the art world, and he has been willing to put his money where his mouth is on that,” Charlesworth says.